Mike and our team are committed to doing whatever it takes to ensure the smooth, interruption-free installation and operation of your golf course irrigation system. Mike will assess each service phase to ensure that processes are running smoothly and efficiently. His expertise guarantees timeliness and picture-perfect results. As a seasoned service manager, Mike adds another invaluable layer of accountability to our services – a rare commodity these days. In addition to providing superior irrigation services, we promise your course will look as pristine as it did at the project’s inception. 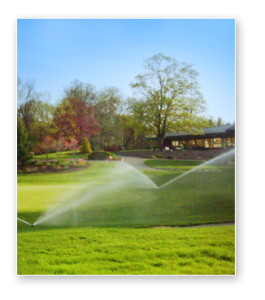 Whether you need expert troubleshooting, seasonal services or routine maintenance, top-notch service from Mike Saliwanchik and our other experienced professionals is just a phone call away at Commercial Irrigation and Turf. Meeting your needs and exceeding your expectations are our top priorities at Commercial Irrigation, and with professionals like Mike on staff, we’re prepared to meet our objectives with every client and project.